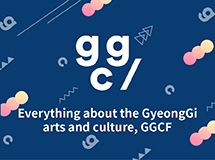 Gyeonggi Sangsang Campus wishes to offer an opportunity for resident agencies, which perform entrepreneurship and creation activities based on the fusion and convergence of culture and arts, and any other interested parties, to exchange with external creators. Nice To Meet You is a place where four young creators talk about their life values, work and branding. A total of four lectures will be held from November 24th to December 8th, and we hope that this will be a chance for you to not only self-check your own contents, but also be exposed to new and fresh inspiration. 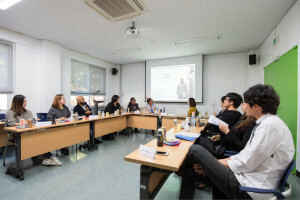 Artists who participated in overseas artist exchange programs share the current status of the Asian arts scene and various perspectives on arts activities while seeking a multilayered understanding of the Asian locale. We look at the patterns of the dominant generation at the center of the new trend and look forward to the future of life culture. Gyeonggi Living Culture Center of Gyeonggi Sangsang Campus is a cultural space open to citizens that operates distinct programs for each age group and target (education, workshops, festivals, makers’ space, etc.) for the propagation of everyday culture. The White Winter Program 2018 has added more elements to the existing program in preparation for the winter and in celebration of the new year. We kindly ask for your attention and support. 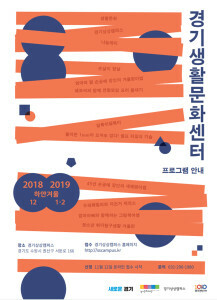 Every year, Gyeonggi Province Office and Gyeonggi Cultural Foundation publish series of research and host academic conferences to share the values of Bukhansanseong Fortress, one of the most representative fortresses of the province, and register it as a world cultural heritage. This year, they host 2018 Bukhansanseong Fortress International Symposium under the topic, “Study on the Fortification System Development of Bukhansanseong Fortress and East Asia”. 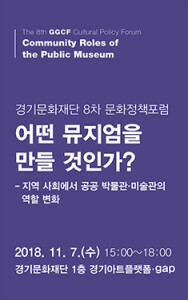 With the topic of the roles of public and art museums in local communities, the 8th GGCF Cultural Policy Forum: What Kind of Museum Will We Make? 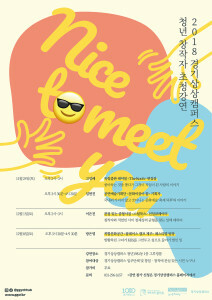 – Changes in the Roles of Public and Art Museums in Local Communities will be held in Gyeonggi Art Platform (gap), on the 1st floor of Gyeonggi Cultural Foundation at 15:00 on November 7, 2018 (Wed).